Republican Senate leader changes tune on Roy Moore, says Alabama voters must decide. Senate Majority Leader Sen. Mitch McConnell (R-KY) walks from the Senate chamber to his office December 1, 2017 at the Capitol in Washington, D.C. It was only a few weeks ago that Senate Majority Leader Mitch McConnell of Kentucky appeared to draw a line in the sand when it came to GOP Senate candidate Roy Moore, who is running in the December 12 special election. But now he appears to be making a clear switch with the intent of welcoming the former judge into the Senate even though numerous women have said he made sexual advances toward them when they were teenagers. “I’m going to let the people of Alabama make the call,” McConnell said on ABC’s This Week. The apparent change of heart shouldn’t come as that big of a surprise. As Slate’s Will Saletan wrote Friday, it has seemed evident that Moore’s Republican colleagues are getting ready to argue “that voters, by electing him, cleared him of sexual misconduct.” How was Saletan so sure about this? Because that’s exactly what they did with Trump. 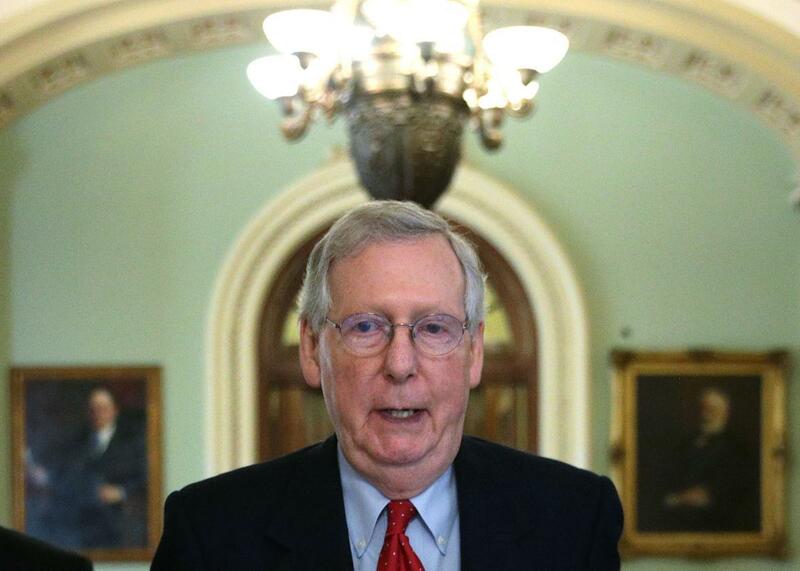 McConnell’s shift in tone on Moore came as the latest poll by CBS News claims the Republican candidate has a clear lead—49 percent to 43 percent—over his Democratic opponent among likely voters. The poll reveals that turnout will be key though because when all registered voters are taken into account, the results are split pretty evenly. But for now at least, it seems the sexual misconduct allegations haven’t made much of a dent on Moore’s support from Republicans, 71 percent of whom describe them as false. The most important and closely watched election in the nation is taking place in the equivalent of a polling black box. There are no established, in-state polling institutions or dominant regional media outlets to fill that void. Since it’s not typically a politically competitive state, outside pollsters don’t have much experience in Alabama either. Outside of Fox News and a Washington Post poll released Saturday, national media outlets or major pollsters haven’t yet stepped forward to survey the race.